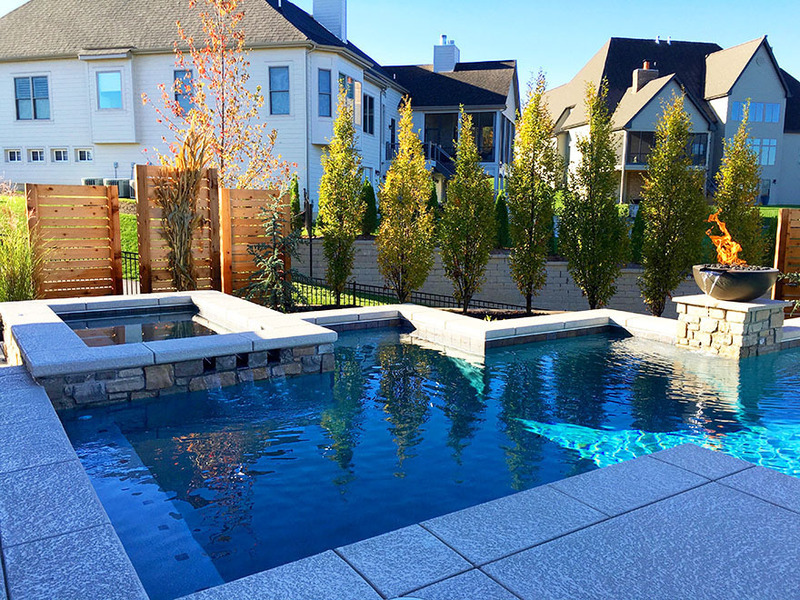 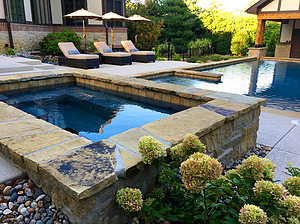 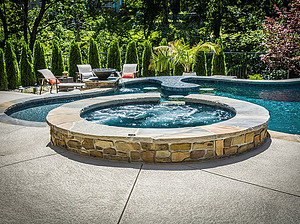 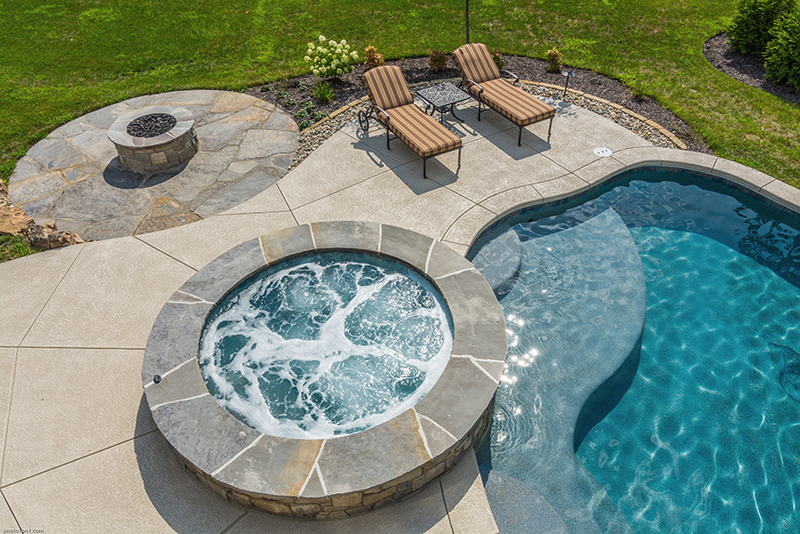 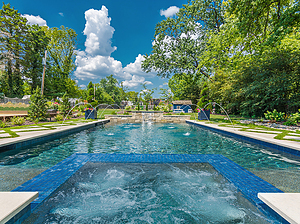 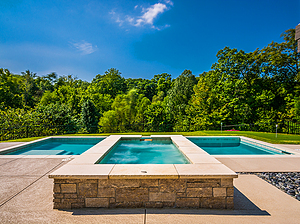 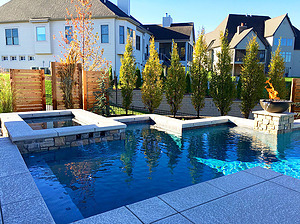 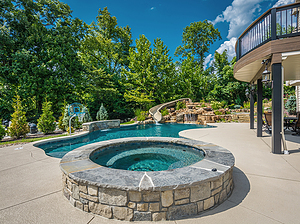 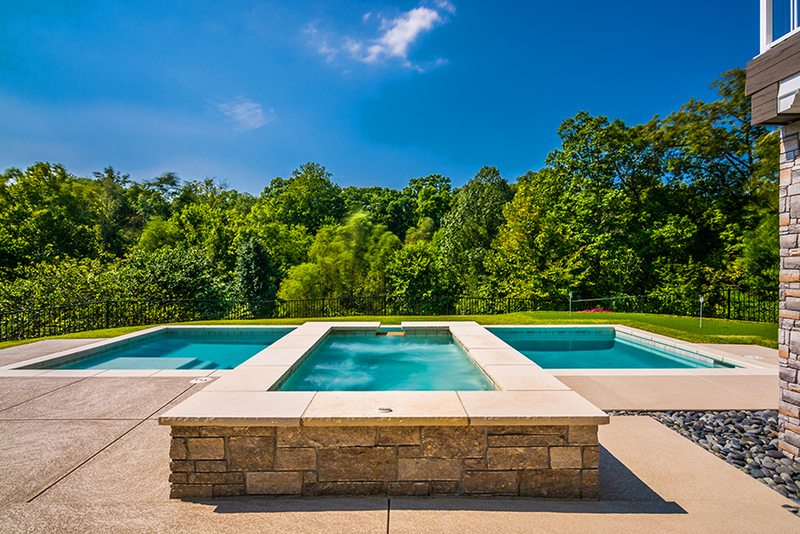 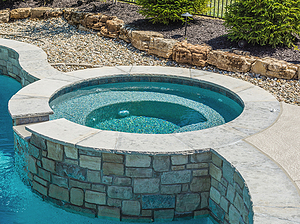 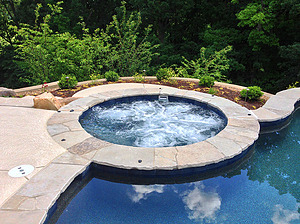 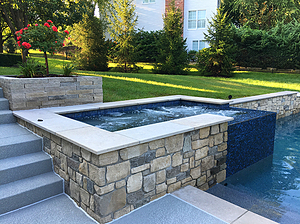 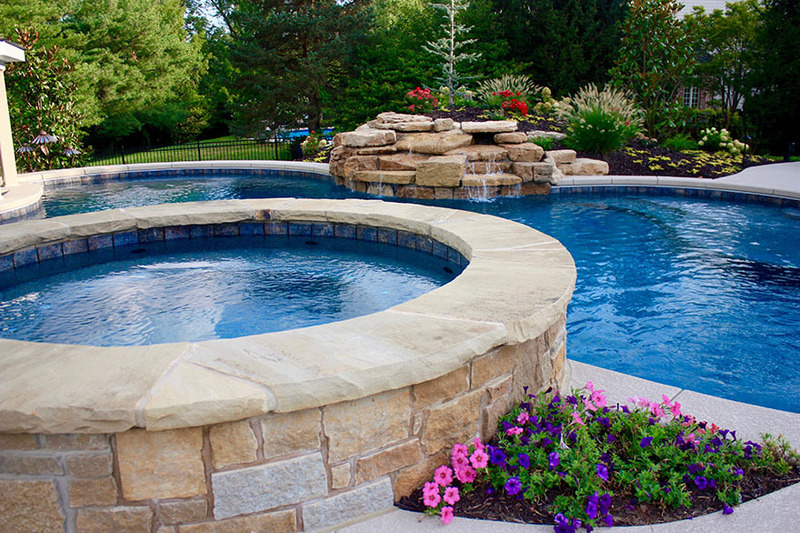 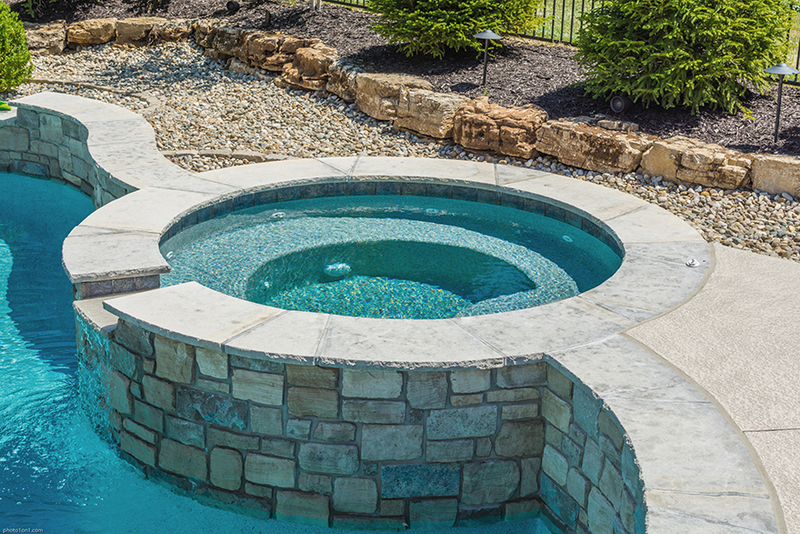 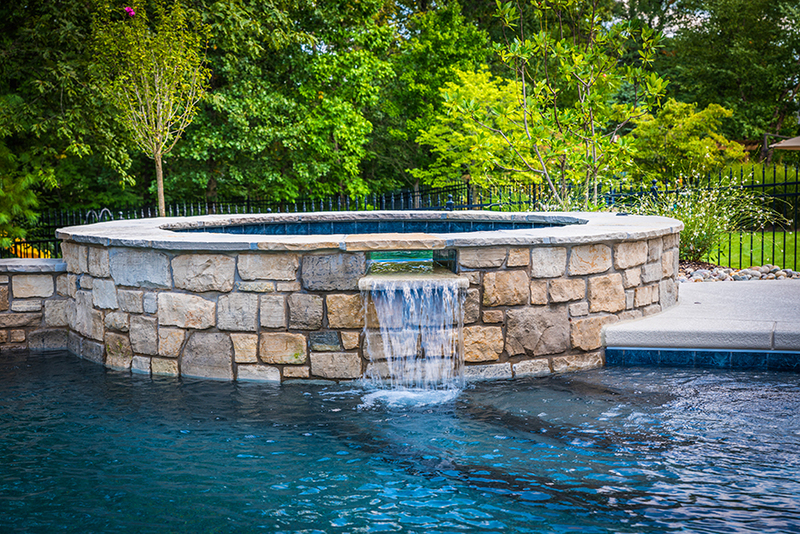 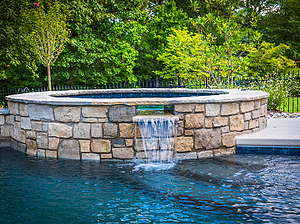 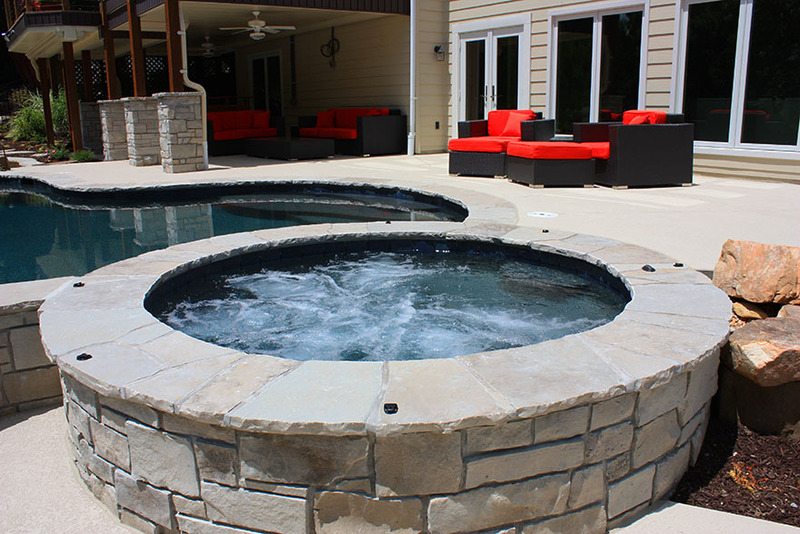 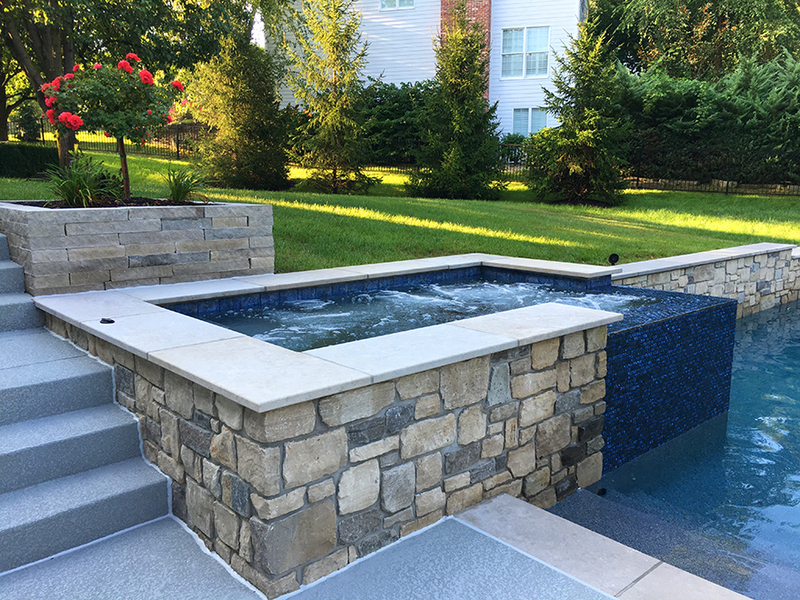 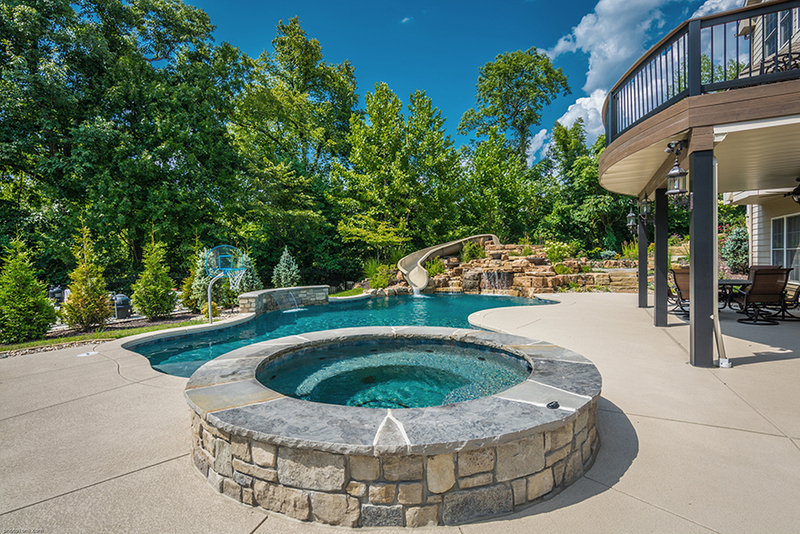 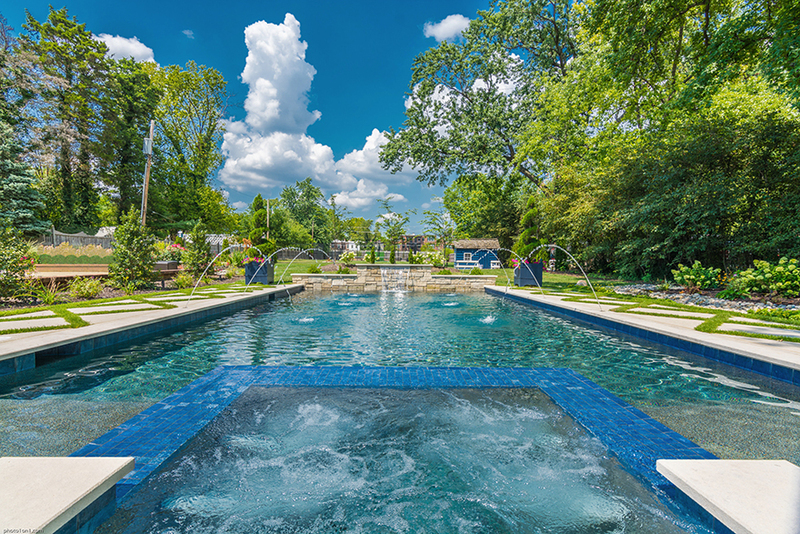 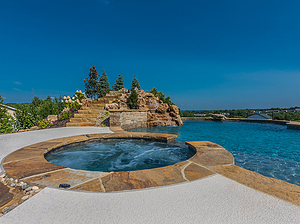 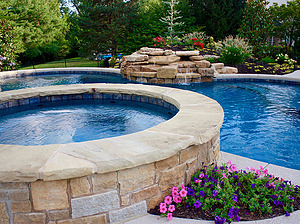 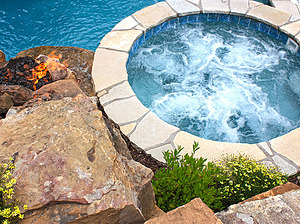 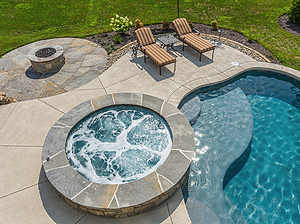 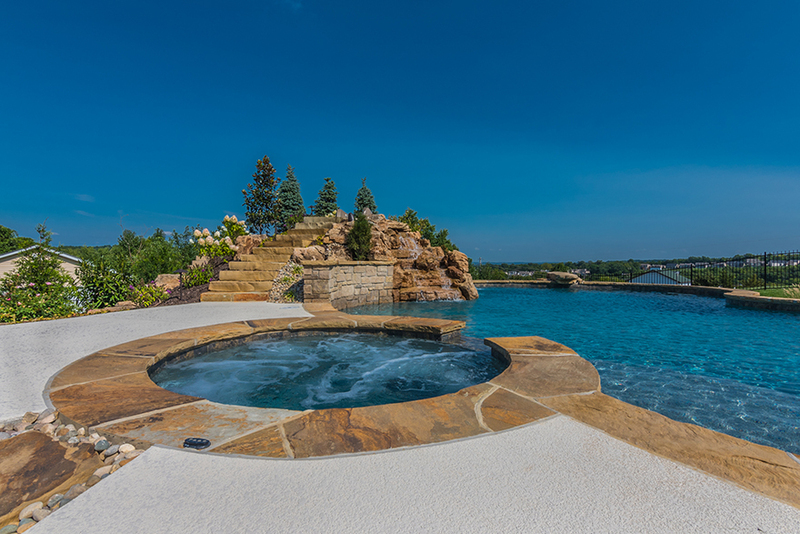 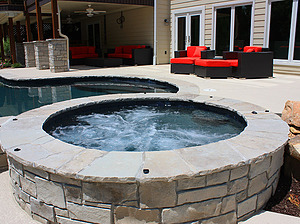 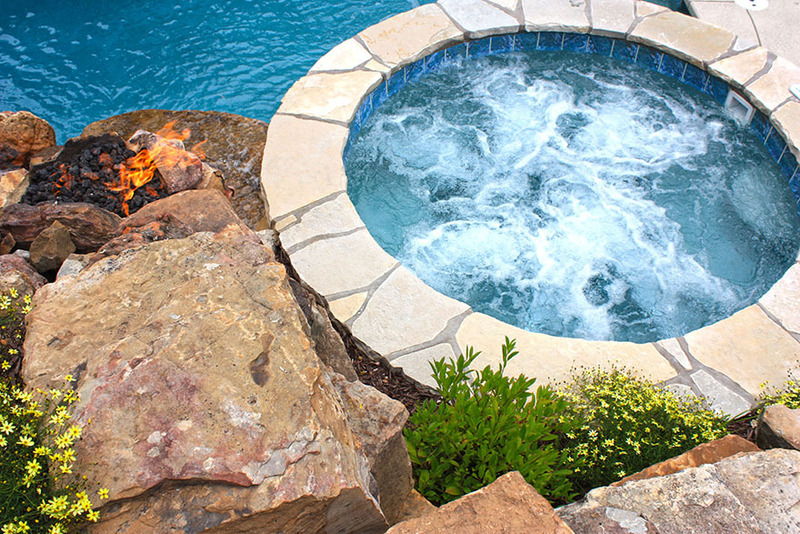 We offer Hot Spring portable spas which can simply be placed on the patio or sunk partially into the ground with a stone or brick masonry exterior to create the look of a concrete, in-ground spa. 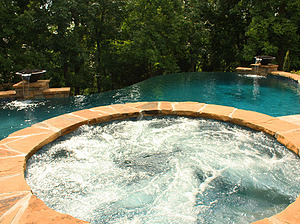 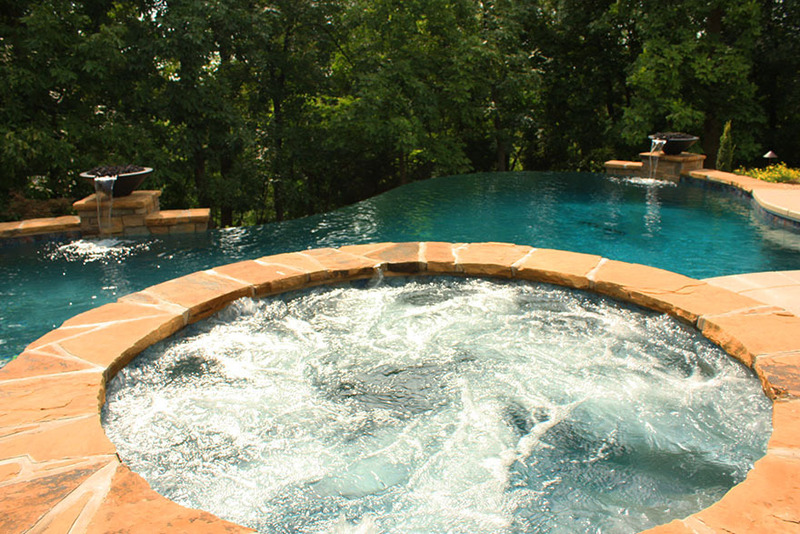 We also construct concrete hot tubs which can be designed in virtually any shape or size. 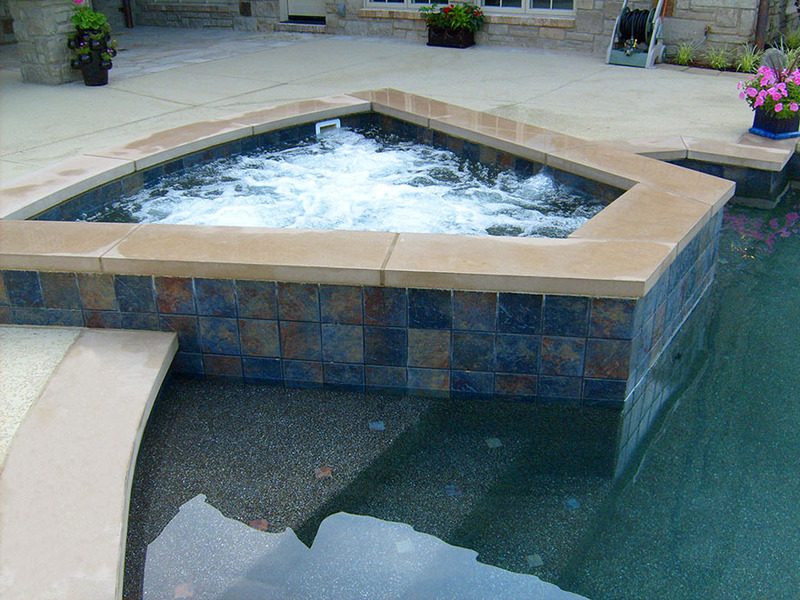 All concrete spas have their own set of dedicated filtration equipment and heater.